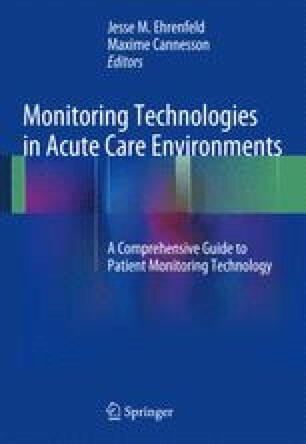 This chapter gives an overview of two computer-based technologies that can help clinicians make decisions in the face of an incessant flow of physiological data from monitors: decision support and closed-loop systems. Decision support systems provide a number of tools to integrate data from different sources and extract patterns in order to facilitate decision-making by the clinician. Closed-loop systems on the other hand completely automate the decision-making process by automatically acting on the system being controlled. A typical example is closed-loop control of drug delivery based on a measured clinical effect. Closed-loop systems are ideal when accurate, fast control is desired. http://www.automationfederation.org/Content/NavigationMenu/General_Information/Alliances_and_Associations/The_Automation_Federation/About1/What_is_Automation_/What_is_Automation_.htm. Accessed 26 Sep 2013. Dumont GA. Feedback control for clinicians. J Clin Monitoring Computing. 2013 Apr 12 [Epub ahead of print]. doi: 10.1007/s10877-OB-9469-9.